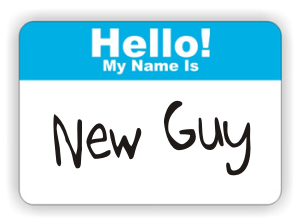 We’re finally here. 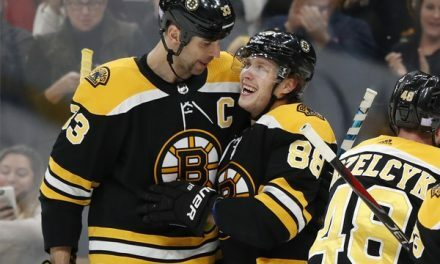 The season began with plenty of doubt, but the Bruins are second in the Atlantic and have started their first round match up against Toronto. They shattered expectations throughout the regular season, but right now is all that matters. 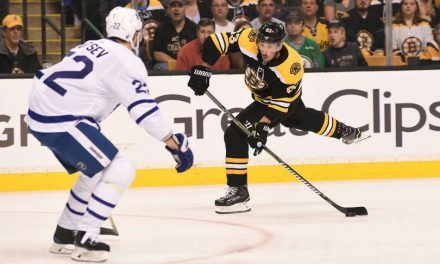 The Maple Leafs are the task at hand, and the Bruins need to defeat them before they look any further. 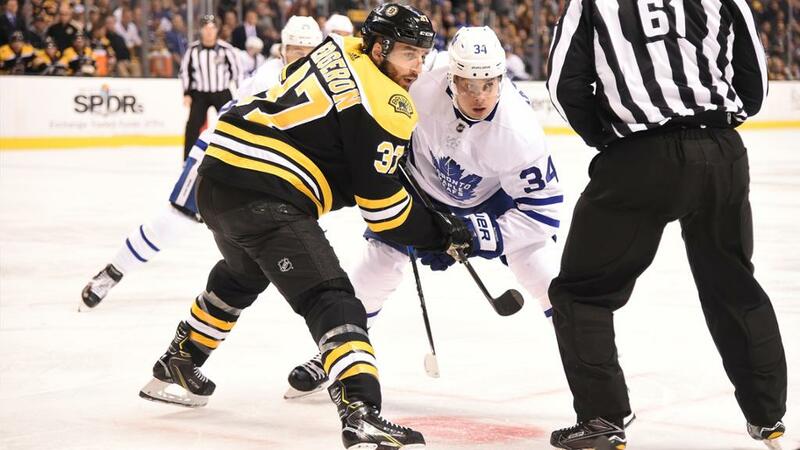 The Bruins easily took Game 1, blowing out Toronto 5-1. But last night’s showing should not teeter your expectations of this series. Toronto is a young, energetic team that has quite a bit of offensive prowess. Even with Auston Matthews spending 20 games on the IR, the Leafs still managed to finish third league-wide in goals-for. This speaks volumes to their depth up front. 20 year-old forward Mitch Marner leads the team in scoring with 69 points. 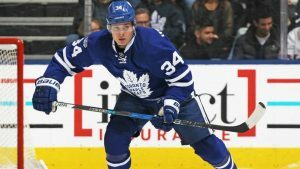 Matthews isn’t far behind at 63, and William Nylander has also made his mark by putting up 61 of his own. Nazem Kadri got off to a slow start, but picked it up during the second half. 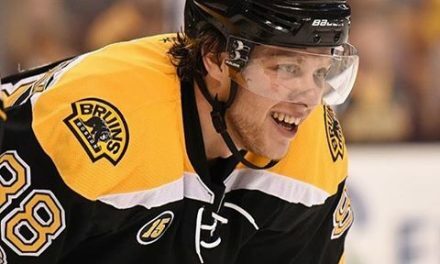 He’s not a huge offensive threat, but look for him and Marchand to be taking jabs at each other every chance they get. That’ll be a whole game on its own. Also, look out for Patrick Marleau. He put up mediocre numbers, but he’s a veteran presence with 120 career playoff points. Toronto’s defense is less of a concern. They were 12th in goals-against with 230, but their defensive core is weak. They have a few solid guys like Jake Gardiner and Morgan Rielly, but the others are shaky. Luckily for the Leafs, Frederick Andersen has had a career year in net. This has kept their semi-reliable defense from getting more exposed. Andersen set a career high with 38 wins while posting a .918 save percentage. Curtis McElhinney has also been a reliable back-up. In 18 games played he put up a miniscule 2.15 GAA to go with a .934 save percentage. Make no mistake about it- this will not be an easy first round. This Toronto team is fast, skilled, and determined. They have an excess of young talent but they could be too young for their own good. Their three leading scorers are ages 20, 20, and 21. The team relies on these players but they may not be able to handle playoff hockey. There’s a sharp uptake in physicality during the postseason and the Bruins can play this game better than anyone. As long as they can limit the production from Matthews, Nylander, and Marner, the B’s should be able to take the series. 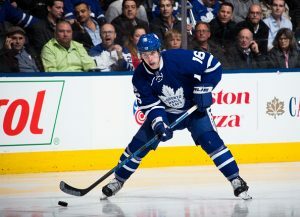 Cover image courtesy of NHL.com. NextDez Bryant to the Patriots?